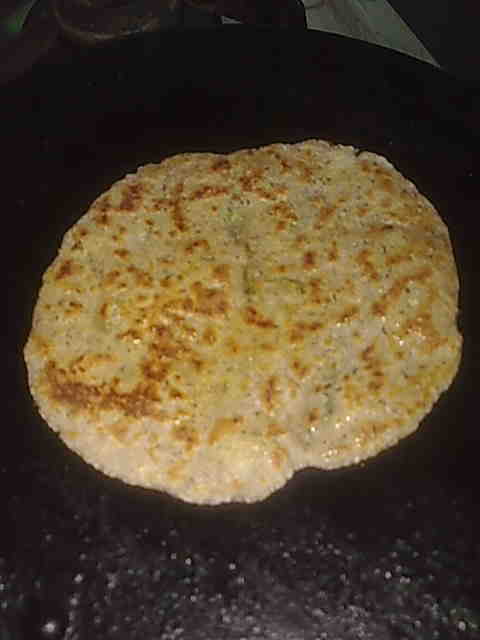 Kuttu aur aloo ka paratha can be eaten in fasts of Ekadashi and Navratras. 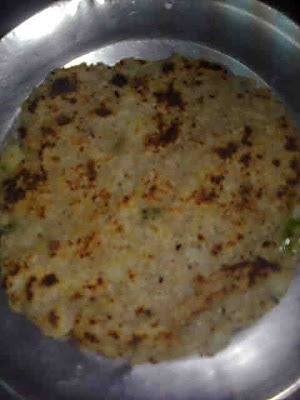 Kuttu paratha along with aloo ki sabzi are part of Navratra thali. 1. Mix all the above ingredients except oil in a bowl and knead into pliable dough. There is no need to add water, use potatoes to knead. 2. Take a small ball (peda) out of the dough and roll into a 4-5 inch diameter disk dusting in dry flour to prevent from sticking or alternatively you can make the paratha by patting the peda between your palms. 3. Heat a tava (griddle) and place this paratha on it. Roast from both sides applying oil. Similarly make other paratha from rest of the dough. Serve hot kuttu aur aloo ka paratha.